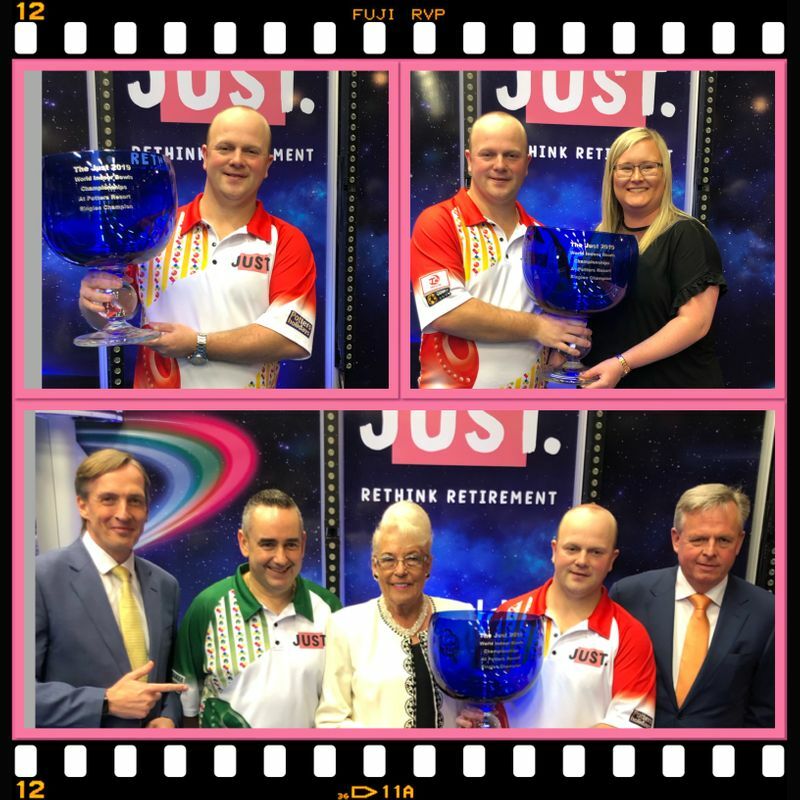 What a way to blockbuster of a finish to the Just World Indoor Championship and what a final between number 9 seed Stewart Anderson from Blantyre in Lanarkshire and unseeded qualifier Simon Skelton from Nottingham. The Scot dominated in the first set, winning 11-5 but it was a different story in the second set with both players producing a tension packed exhibition of bowls. Skelton opened with a treble followed by a single to lead 4-0, Anderson replied with a double and two singles to level at 4-4 and the slogged out singles over the next six ends, peeling at 5 and 6 before Skelton broke the scoring sequence on the eleventh end to win the set 8-6 and take the match to a best of three end tie break. The tension was almost unbearable not only for both players but also for the capacity audience, with the advantage changing hands frequently. However Anderson played the big bowls at the most crucial of times, winning the best of the three end tie break with his very last bowl on the first two ends to seal the title 2-0.